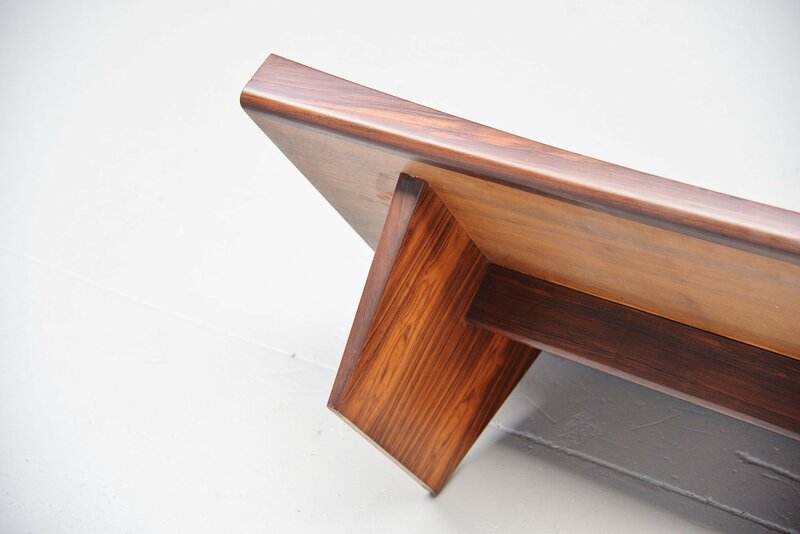 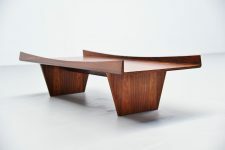 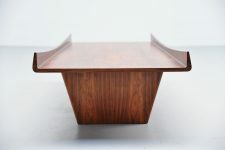 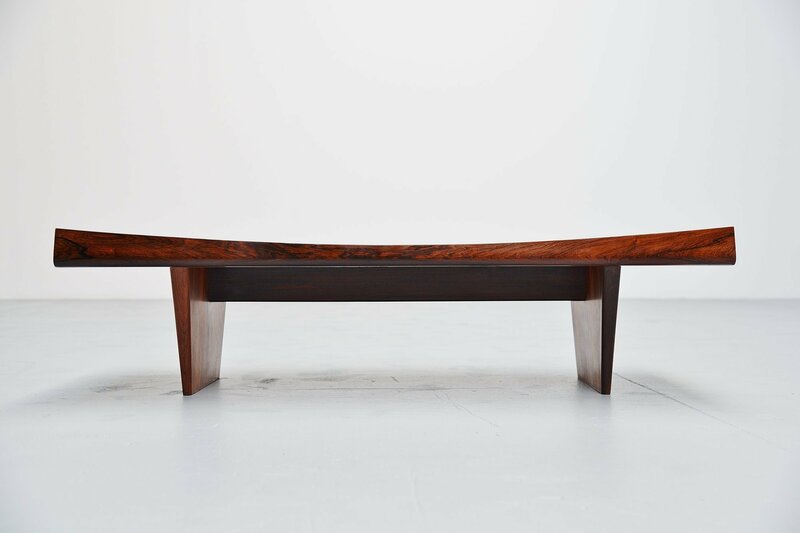 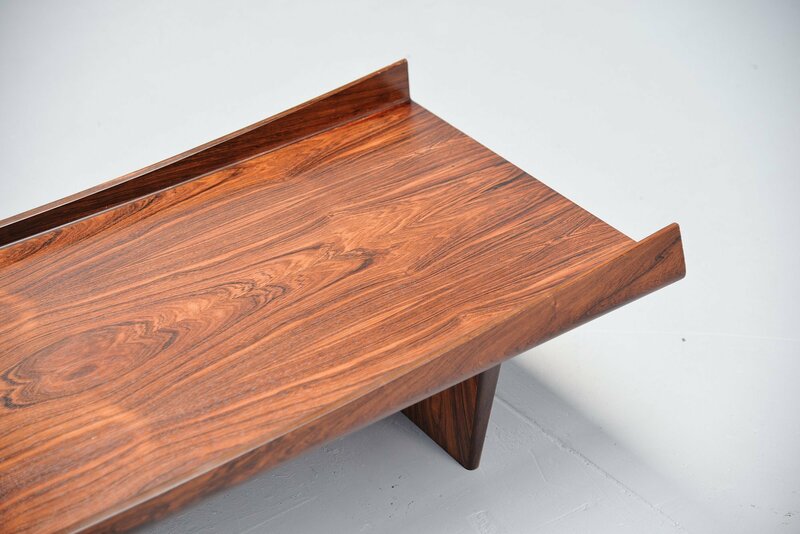 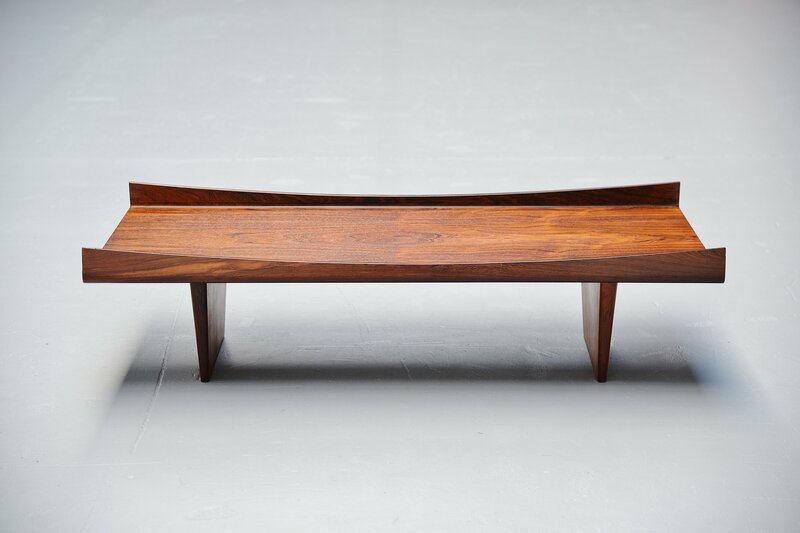 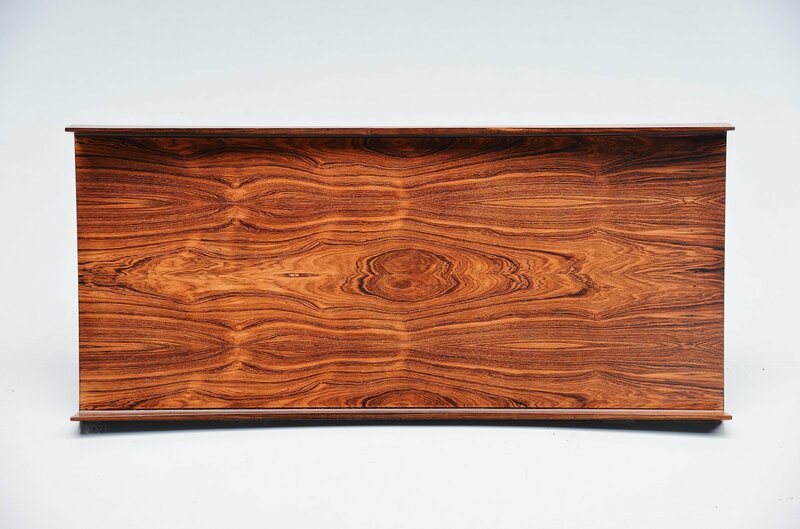 Very nice and sculptural coffee table attributed to Jorge Zalszupin, Brazil 1960. 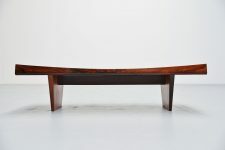 This amazing shaped table is made of rosewood and is very similar to several designs by Zalszupin but we didn't find this specific model. 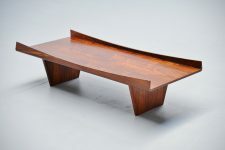 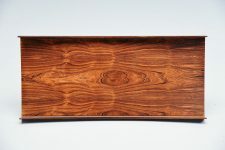 Its very nicely made and crafted, has typical Brazilian shapes and is of supreme quality. The table is in fantastic condition, a real beauty!